For best performance, replace pre-filter every 3 months. Works with certain Honeywell True HEPA Air Purifiers including: HA090 series, HPA090 series, HA100 series, HPA100 series, HPA200 series, HPA250 series, HA300 series, HPA300 series, 10500 series, 10590 series, 11150 series, 12500 series, 13300 series, 13503, 13520 series, 13530 series, 14500 series, 17000 series, 18100 series, 40000 series, 50100 series, 50150 series, 50200 series, 50250 series, 50255 series, 50300 series models, 60500 series models, 61000 series models, 62000 series models, 63000 series models and 64000 series models. Honeywell Universal Carbon Pre-filters effectively deodorize the air and trap larger particles such as dust, lint, fibers and pet fur with its Universal Carbon Pre-Filter specially designed by Honeywell. Enjoy the many comforts associated with surrounding yourself with a pristine breathing experience all year round. 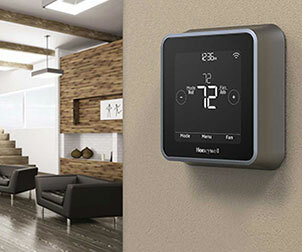 Honeywell Pre-Filters boost and maximize the HEPA's filter life. This Genuine Honeywell Filter is extremely efficient in blocking bad odors and dust. The compatibility range for these filters is robust. The Honeywell HRF-AP1 Universal Pre-Filter is compatible with all Honeywell True HEPA air purifiers. The pre-filter's unique carbon design helps capture large particles, helping to capture pet hair, dust, lint and fibers from the air. Honeywell HRF-AP1 pre-filters can be used in a variety of Honeywell Air Purifiers. This large pre-filter can be cut (cutting templates included) to make 1-8 pre-filters based on your particular model. Please check the air purifier model ranges below to see if your air purifier is listed and to see how many pre-filters you will get out of the HRF-AP1. HPA100 - HPA109 Air Purifier Series: 8 Pre-filters Included. HPA-104 - HPA104 Air Purifier Series: 8 Pre-filters Included. 50150 - 50159 Air Purifier Series: 4 Pre-filters Included. Excellent filtration. Amazing how much dust and lint it catches. The nicest ever, and so stunning in black! This prefilter comes in a sheet that is to be cut to size. The included templates are very easy to use and I like that I get more than one from each purchase. It's a quality OEM product to keep my Honeywell Purifier running smoothly. Fast shipping and packed nicely. Good price for a genuine Honeywell carbon pre-filter. Same material that came with my system but I didn't realize I had to cut it to fit. Itd be nice if it was already the correct size. Quality pre-filter. Timely arrived as expected. I promptly received the filters & my son installed them for me. I swear by these pre-filters. Run the purifier on turbo and it will clean the air within 20-30 minutes whether it's smoke, allergens and cooking odors. Can't miss with these. Perfect, with a little work. Great pre-filter. Unfortunately, as this is now a one size fits all, it take some quick tailoring. Razor knife with a fresh blade, 30 seconds later it's a perfect fit. I have pets and foster kittens, also a little allergic to cat dander. Tiny bottle baby kittens need bottle feeding every 2 hours and copious cuddles. Not holding or allowing the kittens to come in contact with my face or catnaps together is not possible. I tried alternate filters, epic failure. I do not like taking medications for allergies. These filters are worth the price point. Peace of mind knowing they are doing their thing while I do mine. Great service, prompt timely information arrived on time. I love the fact this filter is big enough to be cut to fit! I only have to buy it twice a year, and after cutting it for my purifier, I have enough left to place into a room air conditioner, so it is worth double its price! A brand name I trust. I'm also a past employee of Honeywell. Another big plus! Exactly as ordered and arrived as promised. Filters are well made, fit perfectly and customer service was excellent . Used as instructed, easy to use, wished it lasted longer. These are ok but not the same quality as the one that came with the air purifier. I wish I had known before getting the 4 pack. Pre-filters for our hepa air cleaner. Easy to order, came two days later. Have to cut them to fit like always, but I get two filters out of each box. Good deal. Works well and easy to cut for a perfect fit. We have an older model and appreciate that this filter still accommodates it. Replacement filter was received quickly and installed with relative ease. This really works! I breathe easier and there is a lot less dust. Very good buy for the money, I can use it on both of my units. This product has helped my allergies. This pre-filter was so easy to cut to size and install! Now I have some on hand so the pre-filter will be very convenient to change every few months. The previous one was full of dust, so I know it really does the job! Thanks for a great product. Wonderful product and works great in my Honeywell air cleaner. OEM packaging, performs as expected. I love my Honeywell air purifier and I've found the price of the filters cheaper on the Honeywell site than most others. Can't beat the OEM filter for fit and function. Very good quality. Not thin like the knock offs. The previous filter is thinner than the original but instead of cutting the filter, we doubled it over. Since it fit in the machine, we are looking forward to cleaner air. Love my Honeywell air purifier, stocked up on my pre-filters because they were on sale for a good price! It's a filter. What is there to say? I really like these Honeywell Filter A universal carbon pre-filter. I was given a humidifier, but needed to get more filters. I searched until I found this product from the honeywell store. I only had to cut a small bit for it to fit, so I was happy with that. I will buy again. The quality was very good on these filters they were easy to cut I just measured them with the ones I had in my air purifiers the template was a little hard for me but I got them they were perfect absolutely perfect. I was able to get 2 filters for my large Honeywell Purifier from this box. I'm very grateful. Nice product. Seems sturdy. I like the four-pack. Took some time, but not as long as it has in the past. Thank you! Honeywell makes an excellent product. Easy to change filter. Just as expected. No problems at all. Works for very well. Last quite a while and a reasonable cost. Best source I've found for getting name brand Honeywell products. The pre-filter works exactly as described! These fit the unit really well and are easy to install. The filter catches a lot of stuff - I didn't realize how much dust etc is floating around. Not much to review. This was a re-order of items needed for my existing Air-Purifier from Honeywell. These filters work really well and are easy to change. Like these very much. The design makes it easy to cut the charcoal filter to the correct size for my air purifier. Glad to continue to use this. The best pre-filters I have ever seen. Amazing. These filters do an incredible job attracting the worst particles in the air. This is very apparent when we change the filters and see how filthy the are!! You know you are getting a quality product. I've used your pre-filters on our two air purifiers the Honeywell Model 50150 and the Enviracaire Model 13530 and they have been easy to apply to inside drums quickly. Their need for replacement to is very reasonable approx. every 2 months. Works as expected, and comes with plenty of material. Filter thinner than the original filter that came in HPA-300. As a result, I double the filter material that was supplied there was enough to do that. Filters arrived quickly. The only complaint I have is with the pre filter. Wish it came cut for the machine. Never fits properly. Air quality in my sleeping area much improved. Seem to last a decent amount of time. Don't like having to cut the filters but it isn't hard. Satisfied. Arrived on time, easy to install. I've ordered the same items from you before and I'm satisfied. Glad to business with you again. Did not like Holmes filters. Filter was delivered much sooner than I expected and was a perfect fit. These filters are great and are very easy to install. The pre-filter fits perfect just like the original. It really collects a lot of dust and dirt. The right filter for my air purifier. Glad I was able to find at a lower cost than I bought from another company. Have ordered for years from the Honeywell store. Products come quickly and always packed nicely. I am very happy with the prompt arrival of the filters for my Honeywell air purifier. I have used the Honeywell air cleaners for years. I recently moved into an apartment that includes an old fashioned water convection air conditioning system. The air emitted by the convector smells of mold and mildew. As an environmental allergy sufferer, I purchased a carbon pre-filter as an antidote. I simply cut the pre-filter to size and placed it directly on the inside of the convector's vent. The results are noticeably improved! So far so good, filter just as ordered. Like that I can cut to size and have the filter to use for more than one use. fast shipping. Appreciate the convenience of how to order my products and the prompt attention it gets. Very effective, well made, long lasting filters for Honeywell Air Purifier. Highly recommend. I've been using replacements for this pre-filter as needed and find they work well and are easy to install. Arrived on time and in good shape. Actually bigger than I expected. Will make 2 new filters. Tried to order online. Product name changed. Could not. Honeywell phone person very kind and efficient. Just as described. No problems. I love this item because it allows me to breathe easier in my own home, without the worry about allergens or toxins. I recommend these filters to everyone! I have never had any problems with my order. I also appreciate the reminder to order the carbon prefilters. We use 2 Honeywell Hepa filters and they make a positive difference in our health! With Honeywell products one should be happy to be able to obtain their quality filters etc easily and fast. Great filters to use and they do work. My living room area always smells fresh. Great service fast shipping always good. Unlike the old pre-filter which came too short to wrap around the filter without cutting an extra piece and attaching it with the velcro tabs, this pre-filter is long enough to just cut the single piece needed to wrap around the filter. I couldn't find which pattern on the template for the 17000, but it doesn't matter really, the instructions said don't make it wider than the filter, so I just wrapped and cut. Very easy, very happy. The prefilter works exactly as advertised. Happy to buy! Filter replacement was fine. Mail shipment was very prompt. Exactly what I wanted. Works great. No issues. Will buy again. Love being able to cut out the sizes I need. Very handy! Great job of keeping air clean. Great product and makes a huge difference in the air quality in my home. This product was what I needed to replace the filter in our bedroom air purifier. It was easy to cut. I just placed the old filter on top and voila. We really like this product as well as our Air Purifier. Thank you! I get several by cutting them based on the one that came with my air purifier. Great savings! Great filters and price is right. Also love my Honeywell 300 series air purifier. Order received timely. Lady I talked to on phone very helpful. Excellent filter material, easily cut to desired dimensions and, easily installed in purifier. Works great. I have had a good experience with the air filter and replacement filters - they have been reliable and effective. Haven't used it yet, but it seems simple enough! As advertised. Very little cutting to fit so not much filter material is wasted plus it's original pre filter from the Honeywell store not a cheap imitation!!! Plenty of filter material for 2 changes. Would definitely recommend and I'll be buying again!!! We use this filter with an additional 24000 filter for superior air quality in our home. This product works like a charm. Very effective filtration of dust and larger airborne particulates. Exactly what I ordered , received in a timely manner. With the included template, I was able to cut to the correct size needed. There is ample of material provided! I received the product quickly, and it was easy to install. The marking on the template were somewhat confusing. Filter material arrived as predicted with instructions to cut to the size of my air cleaner requirement. Sharp scissors easily trimmed the material which came with two Velcro fasteners. Everything worked as described. just as good as the expensive purifiers! Appears to be doing the job. Easy to install. Awesome product and super fast delivery! Thank you. Needed this for my Honeywell Air Purifier. It makes my home smell cleaner and fresher. Had to cut it to size but working great. Very good. As a matter of I was presently surprised I could get 2 pre filters out of what was shipped to me. Last year what I received was only good for one prefilter unless I patched up the remaining piece to squeeze an extra filter. Filters arrived on time as stated and well packaged. The prefilter was delivered promptly, on schedule. It was as advertised and exactly what I needed. We are a return customer to the Honeywell Store as the service is prompt and no hassles. The carbon pre-filters work great for us and help with the cat fur/dander. This Carbon Pre-filter does an excellent job! Needed these. They run out too soon. Easy ordering, especially via the email reminder Honeywell sent to me. Easy-to-navigate website also helped me speed through the selection and order process. I suddenly came down with allergies in April 2011. The first product I bought was the Honeywell air purifier. Not a bad price, around 100 dollars, I think. I moved to an apartment with lots of Pollen without thinking a few years ago, and bought more expensive air purifiers like Winex and Blue Air. 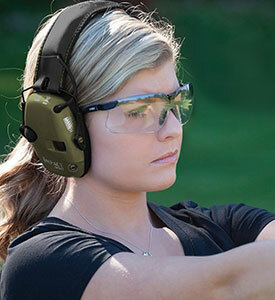 The Honeywell performs the best. I have it on in my bedroom and am able to get relief from the allergens. Good job ! Really important for us who are sensitive to pollutants. Great to sleep in clean air. Highly recommended by one who does get good results from these filters. I have received filters from you for years and have always been happy with them and your service. Will order again when I need some. Excellent product/excellent customer service and timely delivery. Prefilter arrived as expected. Thank you. Easy to install and traps lots of dust. Our son thanks you! My order arrived promptly, was well packaged and exactly as described. I was very happy that it was a Honeywell product which stands for quality and excellence. It was large enough that when I cut it to fit that I will have enough to replace this filter for each of the next 2 months. I am pleased with the product and its price. Ah, my air is nice and fresh again and my house is much cleaner. I will purchase again. These filters are very well made and arrived just as ordered. Don't settle for imitations, or just like products. Nothing is better than a Honeywell! Product is easy to use and install. It's easy to order, maintain and use your products. Always on time and reliable. Good service. The universal filter fits very nicely. In fact, the piece sent had to be cut to size, leaving plenty for the next time. My unit requires two filters. This pre-filter removes odors, dust and dirt from the air. It saves me from changing the expensive HEPA filter more often than necessary. Cut to fit! Easy! The carbon filter is quite flimsy, unlike the original one we replaced. I'm sure it will be OK but would prefer it to be a little more substantial. Good service, instructions are clear and easy to follow. Great product. The quality I expect from Honeywell. The online store is the best. Arrived promptly and as ordered. Both filters in excellent condition. The Pre-filters are partial proof of the effectiveness of the Honeywell air filters I use. They are also easy to fit. Don't want to breathe without it! Really appreciate my air purifier and the Carbon Pre-Filters keep it doing the job! I have been ordering from here about 3 years easy to order,easy to return and always great customer service. The pre-filters arrived promptly and were as described. This is the second time I've ordered them and I was happy with both transactions. All fine, filter as advertised. I like the fact that you can wash it and re-use. I re-used the old one 3 times. Really has performed well at trapping the big stuff and protecting the HEPA filter. I love my Honeywell air purifier. A breeze to order and product was delivered promptly! Also, product works amazingly well! The right filter, the right price, with a quick ship time. These are great filters just wish they didn't have to be cut to fit. I order 4 independent visual filters at a time. This is a perfect replacement for 38002. Ordering was very easy! Excellent pre-filter. Easy to install and clean when needed. I can't live without these. The prefilters from a third market company were awful compared to these. Filter is great. Can be cut to make 2.. Great price.. These are the best filters we have ever had on any air cleaner and our Honeywell air cleaner is absolutely the best. My mom has a severe allergy to mold, and these help capture all dust, fuzzies, lint, bird feathers, pet hair etc. Pretty easy to use. I did not use the template, just the old filter to measure. I was surprised that the replacement filter was not as sturdy as the original, which is a Honeywell product as well. The filter is a big help in keeping the air in my house clean. My husband is a smoker and I don't know what I would do without the air cleaner and filter. You have to replace the pre-filter for unit to work right. It does. The replacement filters are thinner than the filters that came with the product. You also have to size and cut the filters yourself which can make getting the fit difficult. Love how my machine works and reminders to replace filters. Honeywell is very efficient in sending our orders. Thanks! Only buy genuine Honeywell brand pre-filters for your HEPA. The generic is not the same quality. Always good service, on time with delivery of order, love ordering from Honeywell Store. cut just right, it fits both my purifiers. Easy to cut to size and install. You must keep on top of replacing them. Your unit is working hard so help it to do a great job and last longer by replacing the filters often. I received the product quickly and it was easy to install. We recently purchased a Honeywell Air Purifier, Model HPA300, and according to the instructions, the pre-filter should be changed every 3 mos. That's why I ordered them, but we haven't replaced the original yet, since it's only been about a month. We're very satisfied with the air purifier, however. Our old pre-filter was filthy! Replaced it with this pre-filter and now our HEPA filter is functioning well. My husband has allergies and has had fewer symptoms now that our HEPA filter is functioning efficiently. The filters are perfect. They needed to be cut down as I was advised and they come with a template so there is no problem with that. The service is excellent - knowledgeable and courteous. Wouldn't buy anywhere else after this experience. The Honeywell Filters are easy to replace, last for quite awhile, and are reasonably priced. fine. product as advertised. order filled in a no hassle way. The product is very good at trapping dust & particles before reaching the Hepa Filter. The only downside is that you have to cut it to the size required. You get more than one pre-filter! I was expecting only one filter but I was able to cut the large pre-filter sheet I received easily into two filters! I have a powder down parrot in my bedroom and this helps a lot. Comes in a large pad that you have to cut to size. Very easy to do. Works great! Haven't used it yet. It's a replacement and looks the same. Very good product, good quality. Will be able to use more. Exactly what I ordered and quality is great! I have been buying filters from Honeywell for years always great product. Thank you Honeywell for doing so. We love our Honeywell heap air filters! We have three of them! Thank you. The filter itself is very good. On the template included for cutting the filter, I didn't see my model on there, even though it was advertised on the outside of the box. I was still able to cut the filter for my model. Good price and good filter no complaints there. Overall a good buy and a good purchase. The filters work great and the air cleaner is wonderful! great! I couldn't believe how much cat hair and dust my old filter collected! Reviewed: 11/17/2016 by Bryan F.
As always, fair price for a quality product. This was a repeat purchase. Called customer service, twice, each time the rep answered my questions and was really friendly and pleasant.It's the reason I am a return customer. Thank you!!! The filters are sturdy and last a long time, and can be easily cleaned. I am very happy with them. The filter itself works great, however there was a miscommunication between filter size and machine size. It was a bit confusing. Always very pleased with my order and comes on time. Excellent for the house with hairy pets! Just what I ordered and packed nicely! Very good product. We have 3 cats and 1 dog. really helps keep allergens down! Very pleased with replacement filter. Exactly what I expected and the service was excellent. I like the convenience of ordering it online! Easy ordering & Fast shipping!!! It was so easy to order the replacement parts that I needed & the purchase arrived earlier than expected! No problems due to your clear directions for ordering, timely deliver and receiving the pre-filter and HEPA filters in fine shape. And all at a good price. I have been using Honeywell HEPA air cleaners for 20+ years and the Carbon Prefilter. The quality of this filter is tops as it performs exactly as described and protects the inner HEPA filter. Works perfectly for our air cleaner, easy to install. Excellent product. Don't know what I would do without my Honeywell! Item arrived right on time for my replacement, as well as fast shipping. Functions as described. Great product! I like that it is universal for all your air purifiers. Easy to install and I got 2 in one pack as it was for a larger unit and I have the smaller unit. I have been buying these filters for six years now and they are great. They really do the job of filtering out smells and dust and pollen. I will keep buying these filters. Filter works as described. Excellent product easy to install. I have had this machine for about 10 yrs or more & I will not be without it !!! It goes above all others I have tried !! Thank you for it !! the ordering process was very easy and quick. The product was very simple to install. Received quickly and very pleased with performance! Great transaction! The instructions were easy and the Carbon Pre-filter was an easy install, and my Honeywell Air Purifier is doing the job it was created to do! I was amazed as to how quickly the product was delivered to my house! Just trimmed pre-filter down to fit air cleaner. A simple and fast install. We love our Honeywell air purifiers and filters. Air quality is not at its best now. So, filters are critical for good health. Honeywell has always been prompt about getting our filters to us and always as we ordered. Thank you! Product arrived early in excellent condition and just as promised...highly recommend this seller for this product...have shopped from this seller before and have only good experiences to report. I use the Honeywell air purifiers at work and home. They are great for anyone that has allergies and pets. Reviewed: 06/14/2016 by Steve M.
Great service. Being local I placed the order and picked it up the next day. What's nice about this universal style is I can get 8 filters out of it for our air purifier. GREAT FILTER. GREAT SERVICE. BEEN USING THEM FOR YEARS. I was surprised at how easy it was to fit the filter to my existing unit even though it had to be cut. A template is included that makes it easy to get the right size and you're left with a good bit of excess for future filter changes. In all, it was a good deal. I have been using these filters in my air cleaner since my Dad purchased the air cleaner for me. My husband is a smoker, and even though I don't like him smoking in the house, he still does on occasion. The filter in the air cleaner works wonderfully to remove the smoke from the air. It is also excellent in keeping the dust to a minimum. I don't think I could live without the air cleaner or the filter. I am so glad that I can purchase the filters from Honeywell online. I don't drive and my allergist recommended many years ago that I have HEPA filter machines going in my home. Thanks for being my resource. Very good product. They give you enough pre-filter to last six months. This is the best and is the best price what more could you ask for. This filter does an excellent job of removing excess dust in the air. Prompt delivery, sold at excellent price. Trim to fit makes it possible to get multiple filters from one purchase. Great product.Will use it again. Had to measure and cut and then it was easy from there. No issues! This product came in much quicker than I was told. It is exactly the same product as I had bought through another source but was slightly less expensive. Easy to use fresh filter product make life better and are easy to install. It's a great fit! The carbon filter not only removes odors, it removes large dust particles from the air thereby preventing the Hepa filters from trapping such particles which extends their replacement period. I vacuum my carbon filter periodically to keep it clean. We have used this unit and filters for several years and are very satisfied. The product does everything it is supposed to. THANKS! The item arrived in a timely manner as promised. We own an older model of air purifier and the website was helpful in helping us select the correct filter. I love how easy it was to cut and fit to size my pre-filter. Excellent product! Excellent service! Filters received promptly and air purifier humming away! The store I typically bought this filter at didn't have it, so I went online to this store and found it to be competitive price wise and available. They shipped it to me and all's well. Great filters for a great machine! I was glad to be able to find what I needed as my air purifier is old. The filter worked great. great product does not fill hepafilter with charcoal like universal off brands. These filters help keep my home clear of everything one's lungs does NOT need. Many thanks to the Honeywell's customer service for researching a possible replacement filter for one of their oldest air purifiers. We have been unable to find the replacements locally for years. Since we now have grandchildren with allergies, it is wonderful to have this machine working again. Came as ordered and works very well in the air purifier. Honeywell filters do a good job of filtering air of dust and odor along with the heap filter. Very satisfied. We purchased a Honeywell air Purifier years agofor respiratory allergiesand were not able to find the filter replacements locally. Ordered this replacement filter from their website. Good customer service, prompt mailing and the machine is again back in service. These filters are very easy to cut to size and easy to wrap and fasten to the drum of my air filters. Easy to install. Performed as expected. I like the one roll of Honeywell Carbon Pre-filters as I have 3 round filters to cover & the solid filter cover keep them in place when putting the 3 forms back in the Honeywell air purifier. Besides these filters working longer than claimed the fact that they are sizable is great because for every 2 I buy I end up getting a 3rd one from the trimmings. Good deal. I have used this product for 4 to 5 years now. It is easy to use and not to bad in price. I have used these filters for years. I never had a problem with them. Excellent quality control. I received my order for filters within a couple of days. The filters arrived in good condition and were just what I needed for my older model Honeywell air purifier. Thank you for keeping them in stock and for the good service. Work great, easy to install. We are very impressed with this filter. The replacement filters both fit two different models I have with a minimal of trimming. A very satisfied customer. I've had my unit ~13 years now, and I'm happy with how easy it is to maintain it. The package stated that it might be enough to use two separate times and the unit I have I can use it four times since I bough two boxes. I won't need carbon filters for a year or more. On time, great product, completely satisfied. Order was processed quickly and shipped out the next day and exactly as advertised. Excellent! easy to buy. Will use again. I found what I needed very easy. Received excellent customer service. Product arrived in a timely manner and in excellent shape. Thank you. Works great.. I live in a basement and there is a lot of dust especially during the winter locked up.within a couple of hours I notice a change in the scent of the air and less sneezing. Filter came in a timely manner and intact. While it is messy to cut and fit to the filter, it is always very dirty when it comes time to change it. It makes me feel good knowing all that dust and dirt and who-knows-what is not being breathed in by my family. Honeywell has been known for quality for years, and this machine is definitely top quality. I was very pleased that the carbon filter fit perfectly. Great product for people with pets or smokers. Like the patterns you have included with the filters. Made for easy cutting and usage. The instructions were clear and I was able to install the new pre filter easily. I was also able to cut it so that I could get two uses out of it. We use our air cleaner as white noise for sleeping.....drowns out the neighbors noisy dogs and the morning garbage trucks. I change the pre-filter every three months and I am always amazed at the amount of dust it collects. Got tired of trying to find replacements in big box stores so Ive been ordering on line. Great service and great product. The unit is at least 10 years old and going strong. I was in need of a Carbon Pre filter, Went to online site, placed the order, Got my package within 4 Days..Works fine today..Must get another Honeywell machine...Nice! My order was sent out on time and received it right away . This is an excellent product to keep your allergens at bay. works great to prolong the life of the inner filter. I was unable to find replacement pre-filters for my Honeywell air purifier locally. I had tried everywhere. I got online and typed it into the search engine and came up with the Honeywell online site. Within a week or so, I had my filters and actually paid less than I used to pay to buy them locally! Great experience. Easy to order website and very fast delivery. Will certainly order from this company again. Works Great. I just cut to size which gives me two filters for my unit. Fresh air again! This carbonized pre-filter was easy to trim and fit to the hepa filter. At first it had an odd odor, but this went away after a few hours run time. Also it came with enough material to make two filters. I so appreciate having the prefilters that can be cut to fit the two different sizes of my 3 Honeywell Air Purifiers! Have used this product for a long time. It is excellent value for money. Correct Item and shipped promptly. Much better than vacuuming the prefilter and hopefully will help with air quality. Perfect match to the pervious one. I had to cut to fit and it appears Ill have a 2nd one for later. Works great, good product. Filters are great. Gave my old one to my contractor, who is using it on his shop vac. The HEPA filter still looks brand new as the Pre-filters captured most of the dust and a quick rinse in water allowed me to re-use them for over 2 weeks. Very simple to trim down to fit the machine. web site was reasonable. filters arrived as promised. This was very easy to install. Better quality then generic purchased on Amazon. When replacing, thin layer of caked dust on pre-filter so doing its job. Make sure youhave top quality scissors to cut this. I can always find just what I need and it is shipped quickly. Product arrived in perfect shape and on time. Cant ask for more. This filter and pre filter work great, I had the original for about three years before I had to replace it. Have used these filters on my Honeywell air filter and have been very pleased with the results. Order came quickly, and instructions were simple. I did not realize however that I needed to cut it to fit my filter, so be sure to do this outdoors to avoid a big mess. The universal carbon pre-filter arrived promptly, was easy to cut to size and fits well. For my unit, mdl# 12520, I am able to get two pre-filters from the kit which is great! Works just as expected. Good price too. Wonderful service. Excellent product and packing. Product was not in stock - but Good communication / feedback about back order status, and delivery tracking. Only disappointment is when I bought it online it did not specify that it only serves as one filter for the Honeywell 50250. I thought I was getting multiple for the price, other models use the same filter but less material so thats how they can say it has multiple filters in the box. 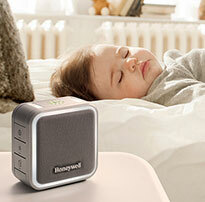 We love our Honeywell air purifiers. My allergies were severe, but the purifiers help tremendously. People who come into our home comment about how clean it smells. Additionally, they are easy to maintain. Thanks Honeywell. Order came quick. Changed pre-filter in no time at all. Very quick delivery and friendly service. Easy to use in purifier, can be life saving. Excellent product! Helps my ongoing allergies! Awesome service and great product. In fact, needing to order more. Thank You! The filters arrived quickly. Although it was easy to cut them to size, I would have liked flters that were the right size on arrival. I thought these worked very well. The only drawback was that I had to cut them to the right size to fit my filters and that was slightly inconvenient/messy. I would recommend this product overall. I have been using the prefilters with Honeywell HEPA filters for years and find the do an excellent job of preserving the HEPA filter as well as rendering the air order free due to their charcoal content. Easy to install. Works very well. Runs very quiet. I like buying the pre-filters directly from honeywell because their filters have the perforation on the filter that makes them easy to get the correct length. Other generic brands have you cut to length. Ive ordered several times and never had a problem with the service or product. I ordered a replacement filter direct from Honeywell to replace the original filter included with my Honeywell 50250-S Pure HEPA Round Air Purifier. I am no expert in judging air filters, but if you lay them side by side, the replacement is clearly less dense than the original. You can see right through it. The add on the Honeywell web site is not clear that for the large round air purifiers, you can only get one filter from the sheet included in the box. Cutting the filter makes a huge mess, so this is hardly a consumer friendly product. I like the air purifier, but the filter is overpriced and under engineered. Hi Gary - We are sorry you are disappointed with the Honeywell carbon pre-filter you ordered. The product as I understand it is made to fit over a variety filters for the Honeywell Air Purifier model line and that is the reason for the needed trimming to fit. This Pre-filter goes over the regular air filter so it is rather thin as it is designed to catch certain contaminants only. At HWS we are the reseller of this product and would be happy to get you in touch with manufacturing's customer service line for any additional help, advice or explanation. Just email us and we will reply - Thank you! My son has severe allergies and has also had a small bowel transplant. He is immune suppressed and these air purifies are the BEST!! Excellent price, and it works! One box of carbon filters can be cut to make three complete filters for the large Honeywell 50250 air filter. Each filter lasts me about 6 months, so this is a very good deal. The carbon filter keeps the hepa filter clean, and takes care of odors without itself putting any obnoxious new odors into the room. A great product! Allergies vanished almost overnight. I use the filter every day. Changing the prefilter is easy, but must be done out-of-doors to prevent lots of very fine dust from being put back into the house. Changing the filter takes ten minute, tops. Arrived in good time considering it was on back order. Arrived in good condition. I find the Pre-Filters do what I expected and lasted about 3 months. I continue to use the purifier as it does help me breathe easier. Looked intimidating at first but turned out ok. Very good prefilters, do a good job of removing larger dust, hair, etc. so the HEPA filter lasts longer. Cannot rate these as I have not replace any as of now. I have been very satisfied with this product. My son is allergic to pet dander, so it is essential for coexistence in our household. Another purifier I bought some time ago, I gave to my daughter. Shes enjoying it and I recently bought filters for it. Arrived late but free shipping and I installed them immediately. They help take out the dog dander we are all allergic to. Seems almost impossible to find these at Home Depot or Menards anymore, so nice to find them online at a reasonable price. Stocked up just in case they get discontinued. I received my filters very quickly in excellent shape. I am very happy. I will order from this site again. After placing my order online I received an email stating my order could not be processed because of invalid account.. I purchased the filter at a Target store and then, a few days later, my online purchase arrived. Very poor performance. Our system does not show any emails stating you did not have a valid account. 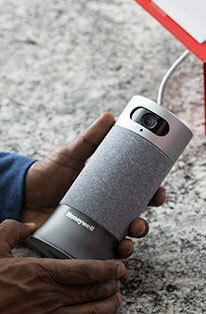 Can you please forward the email to sales@honeywellstore.com so we can see it? Your account is valid and we sent the item out that was ordered. Back ordered, but arrived after a couple of weeks. Product is very easy to use. Cuts easily. And, I get more than one out of each sheet. Will buy more. The price was great. Easy to order. Responsive customer service. Would have given 5 stars, except after I order and pay, at about the time Im expecting to receive the item, I receive notice that its backordered and they expect it in another week. Well, I waited the week, then nothing. I contacted them, and they said they expected it in four more days. It was shipped four days later, and then I received it. Product was as promised, just took too long. Maybe they should indicate on their website when something is not in stock or not available for immediate shipment. Thank you so much for delivery very fast. IT took for ever to arrive. We are sorry for the delay. The item you ordered was on a backorder and then the method of delivery that was selected was "Economy." This method takes awhile to be delivered. The package ships out Fed Ex and then gets turned over to USPS and they deliver it to the customer. Again we apologize for the delay. When I ordered the filter I knew it would be on back-order, but you kept me informed on shipping dates. I was pleased with your service. The Honeywell filter works well with their products. I have been very pleased with the customer service which I have received from Honeywell Store personnel. I am glad that you carry the pre-filters for my air purifier since I can never seem to find them at retail outlets in Fresno, CA. You might consider expanding your rating scores from 1-5 to 1-10, with 10 being excellent. I definitely would score my last purchase experiences as excellent as opposed to Very Good. THIS CARBON PRE-FILTER SAVED ME FROM SEVERE DUST MITE ALLERGIES. I USED ALL KINDS OF MEDICINE AND UNTIL I STARTED USING THE AIR PURIFER FROM HONEYWELL I AM HARDLY ON ANY MEDICINE NOW AND FOUND A LOT OF RELIEF IN MY HOUSE. Exactly whats needed for my Honeywell HEPA air cleaner. Product arrived within expected time.